After four documentaries on the West Memphis Three and countless news stories what was left to be said about their case? In short, nothing and that's why I was really pleased that Atom Egoyan's film focused on the children who were brutally murdered and their families. I hate the way that last sentence came across so I think I should clarify. In 1994 three teenagers were tried and convicted of murder. The 1993 murders of three young boys in West Memphis, Arkansas made national headlines and the three young men were dubbed the West Memphis Three by the media. A film called Paradise Lost was made documenting the trial and pretty much anyone who saw the film was convinced that the state of Arkansas had screwed up royally. After seeing the documentary I had no doubt in my mind that we would eventually execute the wrong man or men for the murders of those three boys. I completely understand why the film makers focused on the young men who were wrongfully convicted but all three of the Paradise Lost films did little to shed light on the lives of the victims and their families. That's why I was pleased to see Atom's approach to film, it was the part of the story that hadn't been told. Reese Witherspoon plays Pam Hobbs and gives her finest performance since starring alongside Matthew Broderick in Alexander Payne's 1999 classic Election. Its been 15 years since I saw Election and while Reese Witherspoon has since become America's sweetheart I forgot how insanely talented she was/is. Colin Firth does a wonderful job playing Ron Lax a private detective who was assisting the clearly out of their league defense team. 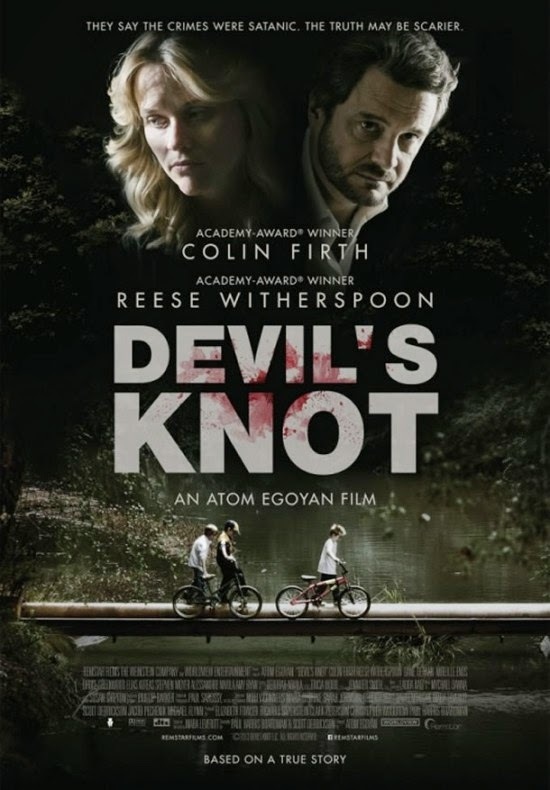 Atom Egoyan had an incredibly difficult task with Devil's Knot and he pulled it off masterfully. The atmosphere is underscored with an almost unbearable level of tension and that's pretty remarkable considering how familiar I was with the case. The finer points of the film can be somewhat complicated but the film does a great job of balancing court room minutia with Pam Hobbs story. We are finally shown the faces of the victims that have been ignored for far too long in the telling and re telling of this story.